As the chief trainer and program manager of Etiquette Plus Academy a subsidiary of Image Flair Academy of Modern Etiquette, Karyne’s core focus and experience is in mentoring and coaching as well as curriculum and training design. She is highly skilled and experienced. Karyne understand the importance of equipping children with life skills they will need to create a happy and successful life and is committed to empowering them to be equipped for their success. She believe in building children’s love of learning and have strong passion in working with children instilling them core values and life skills and guiding them towards having positive outlook in life. 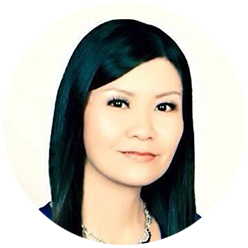 Karyne is personally mentored by our founder Eunice Tan and is an affiliate of Civility Experts Worldwide. She holds ICTC certification as coach in Character, Confidence and Courtesy for children specialized credential endorsed by International Civility Trainers’ Consortium and offered exclusively through Image Flair Academy of Modern Etiquette and certification as coach in Self-Esteem Elevation for Children offered by The Center For Personal Reinvention. She is also well trained in youth life coaching and child psychology. Karyne work diligently to continually improve her knowledge and coaching skills. She is an effective classroom manager, her training style is engaging, entertaining and highly interactive. Her workshops is always evolving. Karyne have gained massive practical experience through many successful workshops for children and teens and have nurtured many students and young adults over the years. Some of the fun-filled, creative and motivating social and life skills workshops includes CDAC’s school holiday programs at various CDAC centers for preschoolers and primary school students, highly in demand monthly and school holiday etiquette and life skills workshops at SAFRA Toa Payoh, SAFRA Jurong and SAFRA Yishun.